Cryptocurrency Custody Solutions are the latest innovation born out of cryptocurrency ecosystem, and the main function for the custody solution is to safeguard the cryptocurrency assets. We conducted an interview with Alessio Quaglini, the Managing Partner of Hex who has extensive experience in Investment Banking, Financial Services and regulation. He shared with us his views on the digital asset custody sector. What is the difference between custody of traditional vs digital assets? To answer this question, we can look at the problem from two different perspectives: (1) From a user perspective there should actually be no difference at all. In theory, as platforms evolve into more enterprise solutions, customers should be able to access any type of assets independently of the underlying protocol complications. (2) From a custodian perspective, however, there are a number of differences. First of all the underlying technology that is completely different from the way traditional assets are transacted. Secondly, the market structure where the depository institutions disappear and are replaced by the blockchain itself. Lastly, the complications of the specific protocols, such as voting, staking, forking, upgrading, which have different processes and representation than in the traditional world. Why is custody of digital assets crucial? I would answer this question looking at two aspects: (1) Custody, whether in traditional or digital assets, is important for several reasons: mainly it simplifies certain processes such as settlement, clearing, as well as handling of corporate actions. In addition, regulatory frameworks usually require the segregation of funds assets from the manager to minimize counterparty risk and prevent companies from using client’s assets for their own purposes. (2) In the case of digital assets, there are additional important aspects to consider. Digital assets are basically bearer assets. Leaking or losing the private keys inevitably results in the loss of assets. In addition, blockchain is an unforgiving protocol where transactions cannot be reversed. Lastly, blockchain protocols quickly change, improve, there are needs to handle forks, staking, voting, etc.. Hence, the concept of being your own bank might be too complicated and risky, not viable for certain players. How will custodians in the digital assets space influence the blockchain ecosystem? At HEX we believe that several parts of the blockchain ecosystem are still premature to ignite widespread adoption. Custodians will play a pivotal role in building the infrastructure to allow higher level value added services to run on blockchain protocols seamlessly. Only when market players will feel protected from a security, regulatory and operational perspective, will we experience more adoption for real life use cases. Are there any licensing requirements needed to become a custodian for digital assets? Regulatory regimes are different in every country. If we talk about Hong Kong from a regulatory perspective custodial activities are not SFC regulated. However, any entity that provides in Hong Kong by way of business a custodial service acting as a trustee, is required to obtain a trust or company service provider (“TCSP”) licence under the Anti-Money Laundering and Counter-Terrorist Financing Ordinance (the “AMLO”). However, should an entity be willing to qualify as a custodian for SFC authorized funds, there are other conditions to be complied with, such as minimum paid up capital and being either a bank or a trust. What are the typical challenges of a digital assets custodian? In December we did an educational seminar to the PWC team in Hong Kong about the ‘10 challenges’ of digital asset custody. If I had to choose the most critical, I would say: (1) Striking the best balance between security, availability and recoverability. (2) Authorization schemes: Enterprise platforms require complex authorization schemes. Complex authorization schemes are usually based on hierarchies of authorized signatories, where a minimum number of approvals are required in order to process a transaction. (3) Trading and settlement: The current process is very inefficient as assets have to be moved continuously across trading venues and custodians. Basically DVP does not exist and settlement has to be done before the trade. The role of custodians is to break this complexity by creating settlement protocols that allow clients to trade efficiently avoiding moving assets around. (4) Asset diversity: The number of blockchain protocols is continuously increasing and every protocol is technologically different from the others. (5) Auditability: Assigning separate private keys for each client and each sub account versus commingling funds similarly to how it is currently done by exchanges. What are the different types of solutions for custody? We can look at this problem from several perspectives. To simplify I would say that a key difference is between cold and hot storage solutions, and we can talk more about this. Another key difference is between first-party and third-party solutions. The former basically means self-custody and the institution is relying on a technology solution to self custody the assets. The latter involves a third party, the custodian, who is control of the private key. We can look at security as a multi-dimensional problem. In addition, there is always a trade-off between security, ease of use and complexity of the solution. Each security layer or measure adds complexity, latency and increases the probability of errors. To summarize, we look at three layers of security: cryptographic, cyber and physical. In addition, it is pivotal to have the right security processes around it. Why did you choose to start this business? For us it was a once in a lifetime opportunity to have a completely new asset class and to have the perfect team to deliver the right solution to market. We have a stellar team with significant expertise in all relevant of the business, together with a number of advisors who further inspire our vision. What is so special about HEX? How do you position yourself in the market? I believe what makes HEX special is our positioning and technology. If we take the traditional financial market universe and divide it into front office and back office functions, HEX’s objective is to provide full service and deployment flexibility for the full stack of back office functions. What is the long term vision of HEX? We strongly believe that blockchain technologies will be the underlying infrastructure for future financial instruments, assets, contracts and currencies. All financial institutions and corporations will have to be able to manage this type of assets in the future and integrate blockchain technologies in their operations. At HEX we currently provide institutions and corporations with a platform to create, safekeep, transact and manage blockchain based digital assets. Our long term vision is to create the necessary infrastructure for institutions to adopt and integrate blockchain based assets in their business operations. Who are the existing companies that are using your services? We have a number of clients from different industries: traditional players, OTC desks, digital asset exchanges, family offices and corporations. Where do you see the opportunities for partnership and collaborations for your custody services? Firstly with traditional financial institutions who intend to adopt our technology to bring to market innovative products through their well established platforms and distribution channels. Secondly we believe it is important that current blockchain players come together and collaborate to create a more efficient ecosystem. Thirdly with other service providers, such as fund administrators and audit firms. What is your competitive advantage compared to larger traditional financial players that offer institutional custody solution? First of all, I would not talk about competitive advantage as we do not aim to compete with traditional financial institutions. Conversely, our main objective is to collaborate and partner up with traditional financial institutions who intend to adopt this new technology and integrate it with their well established platforms and distribution channels. If we then talk about the specific advantages of our solutions, I would like to highlight three points: (1) Our ZeroKey technology is the best in class solution to provide clients with the security of cold wallets and the accessibility of hot wallets. HEX ZeroKey wallets cannot be hacked by intruding our servers and allows to transact in a matter of seconds. (2) Our platform is flexible enough to allow both first party and third party key management solutions. In the former case, HEX basically acts as a software solution provider, while in the latter we become the custodian of our client’s assets. Hybrid solutions are also possible. (3) This market changes at an impressive pace. While traditional financial institution have the resources to build solutions, they often lack the agility to keep up with fast paced technologies. What is cold storage and how will your company cope and compensate with the growing demand of hot storage? Cold storage basically means that keys are kept in an offline wallets, which prevents any online attacks. Common types of cold storage solutions are paper wallets and hardware wallets. Conversely, in hot storage solutions keys are kept in online devices or servers and are exposed to hack threats. However, hot wallets allow faster access to funds in a scalable way. At HEX we decided to turn the problem around and developed a hot wallet where keys are not stored online. Instead, keys divided into shards through a secret sharing algorithm and cryptographically distributed to authorized signatories. Shards are recomposed into private keys only for a split second when a transaction needs to be signed and are erased after that happens to avoid any record of keys on online servers. Hence the name HEX ZeroKey Wallet ®, which provides the security of cold storage and the accessibility of hot wallets. Multiple authorization schemes and hierarchical solutions can also be implemented in line with the client’s requirements. How is your company prepared to be ready to be a qualified custodian and become a trusted institution? There are two parts to this question: (1) From a regulatory perspective, custodial activities are not regulated by the SFC in HK, but entities acting as trustees need to obtain a TCSP license. In order to become a qualified custodian for SFC authorized funds, there are specific requirements, such as being registered as a bank or a trust company. (2) From a pure trust perspective, I see two non exclusive approaches: The first one is obviously to partner up with an established financial institution. The second is to build our own reputation in the market. This can be done by acting as a proper institution and doing what institutional investors, regulators and other observers expect proper institutions to do. What are the key takeaways of SFC’s new regulatory approach for digital assets and how does the circular affect the role of custodians for virtual assets? The framework set out by the SFC in November aims to extend the regulation of the traditional market to the new virtual currency market. I think it is a very smart approach that, on one hand fosters technological innovation in Hong Kong, and on the other hand protects investors, especially retail investors. Generally, how do you see the regulatory trend and development of digital assets in Hong Kong? 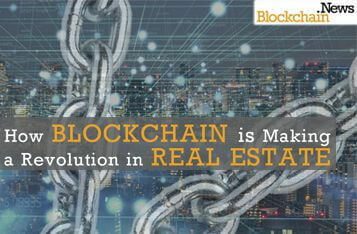 We believe the trend is very positive both from a technology innovation and investor protection perspective. This is just the beginning of the journey. The market is still very young and solutions are premature. Our plan is to collaborate with other players and with the regulatory body to build a complete infrastructural framework that includes all core custodial services such as safekeeping, settlement, clearing and asset servicing, as well as a number of complementary products, such as asset borrowing and lending, escrow and collateral management. This is one of several interviews coming up in the “Blockchain 2019: Industry Leaders and Voices” series aimed at raising awareness of the blockchain community. If you are interested and would like your project to be covered in one of our upcoming interviews, please contact Henry Chan at henry.chan@blockchain.news for more details. 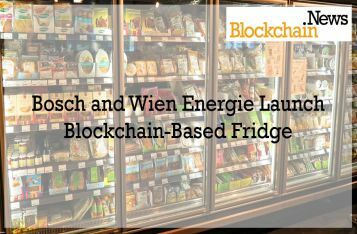 Bosch and Wien Energie Launch Blockchain-Based Fridge! 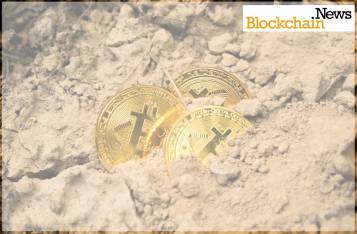 Chinese Proposed Mining Ban: Death of Bitcoin Mining?